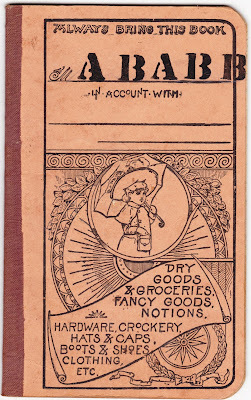 This is the front cover of a skinny, pocket-sized notebook that belonged to someone named ABABB long ago. I'm guessing that's actually A. Babb, but an educated guess is all that is. 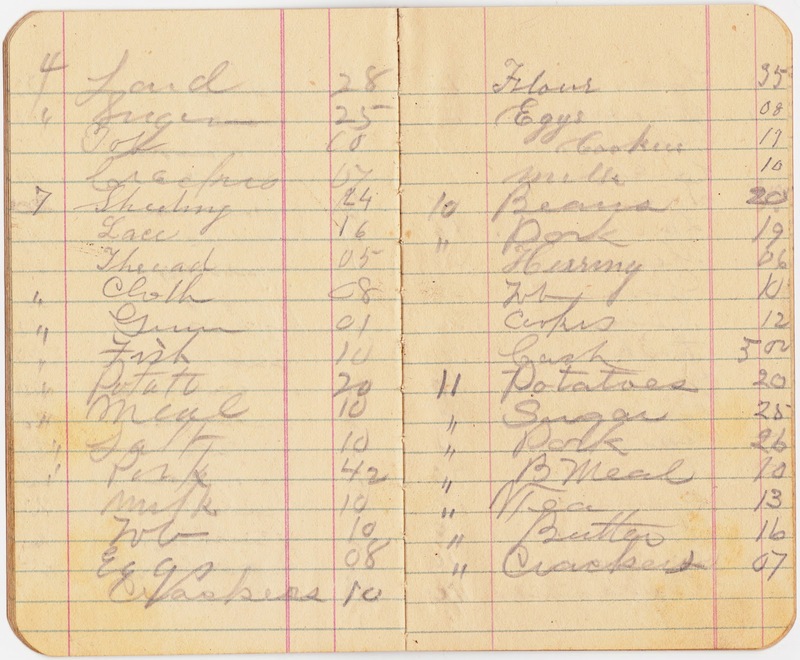 Every page of the book is filled with lists of groceries and sundries and their prices, written out in pencil. There are no years mentioned, so we're left to guess at when this is from. Some of the most repeated items are crackers, eggs, lard, apples, cookies, thread and milk. Shown below are two side-by-side pages from the notebook. The numbers in the far-left column on each page refer to the day of the month. And so the notebook was used precisely as it was intended. 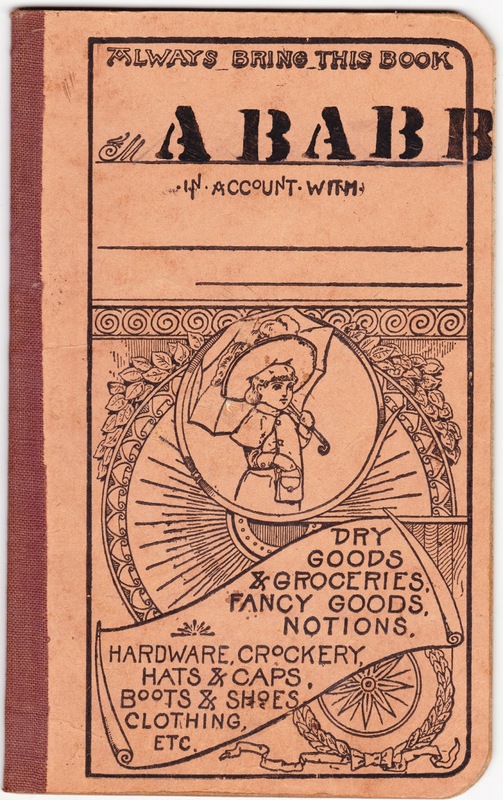 The cover itself states: "Dry Goods and Groceries. Fancy Goods. Notions. Hardware, Crockery, Hats & Caps. Boots & Shoes, Clothing, Etc." Actually, it wasn't used for all of those things. It wasn't used for ... notions. I'm a big fan of using pocket notebooks for jotting down notions. I have Moleskine notebooks filled with all sorts of passing thoughts, lists, Big Ideas and oddities. Trust me when I say that those will make for some very interesting fodder for future historians and ephemeraologists. Um...notions are items used for sewing. Thread, ribbons, braid, needles, etc. I have a notion you know about notions.